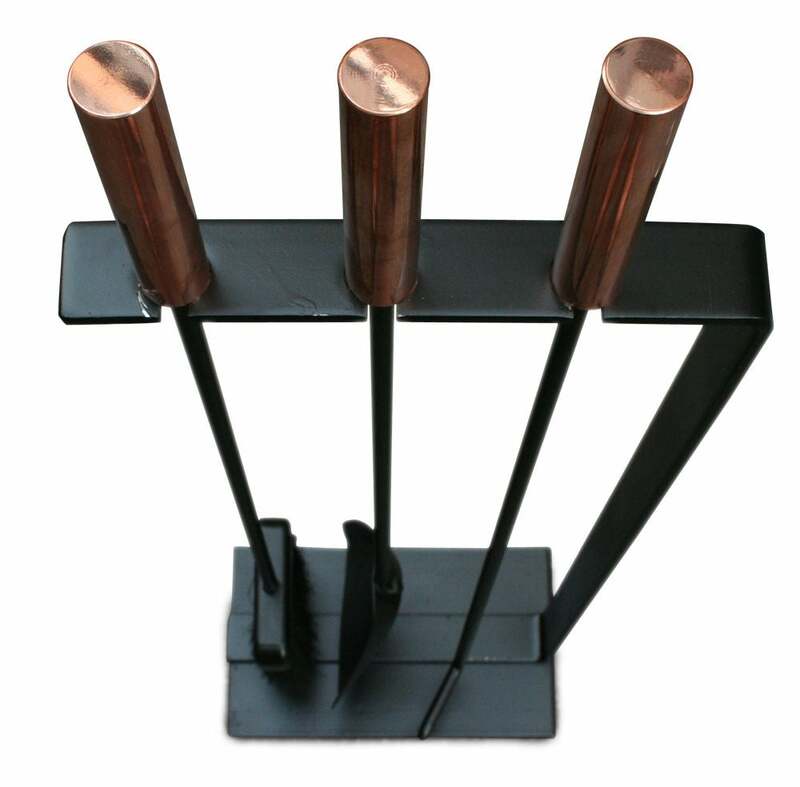 A set of fireplace tools consisting of three instruments with copper cylindrical handles supported by an integral freestanding rack in wrought iron. Manufactured by Pilgrim, American, circa 1950. 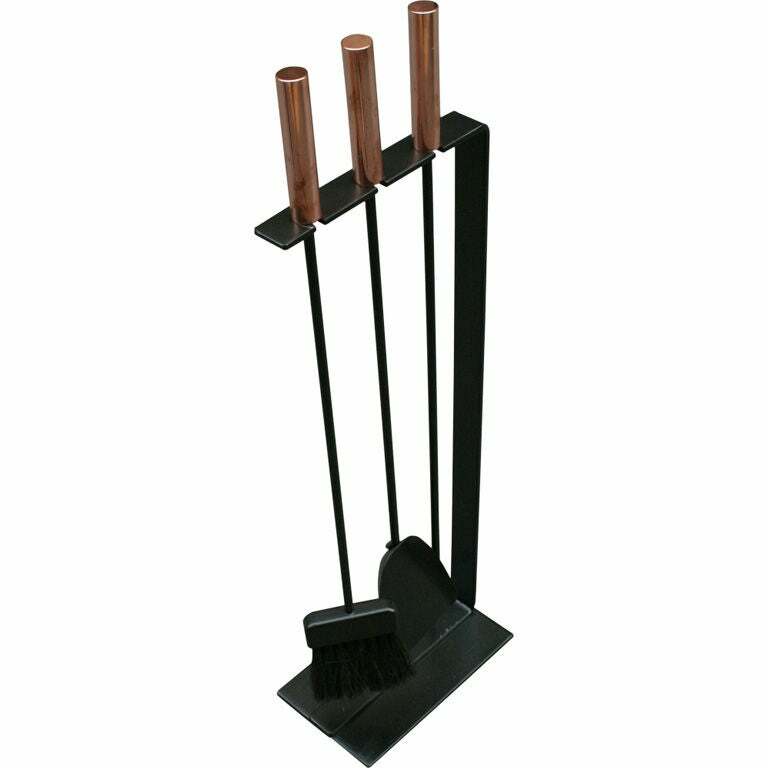 A set of four fireplace tools with integral freestanding holder in wrought iron with nickel cylindrical handles. Manufactured by Pilgrim. American, circa 1950. 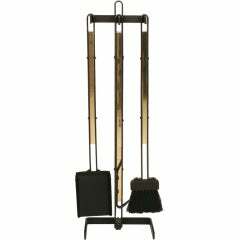 A set of fire tools comprising three tools in wrought iron with inset brass trim all on an integral wrought iron and brass stand. American, circa 1970. This handsome set of firetools were acquired from an estate in Greenwich, Connecticut and are fabricated from cast brass and iron. A set of early 19th century steel firetools with turned handles, swells to shafts and pierced decorative shovel. 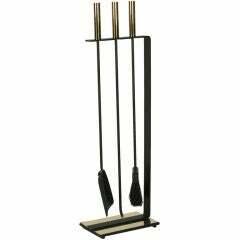 Measures: Length 724 mm 28 ½ in. A set of firetools in polished steel comprising shovel, poker and tongs, the shaped shovel with oval piercework centre, having brass ball finials. 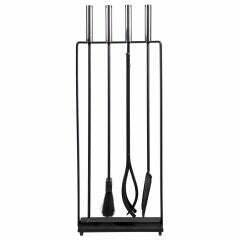 Alessandro Albrizzi firetool set. Chic. 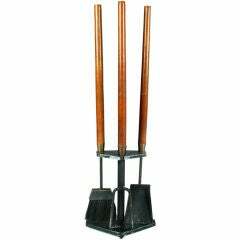 Set of three bayonet-form fire tools with wooden handles Measures: Shovel: 26" T, poker: 25.75" T, tongs: 25.25" T.